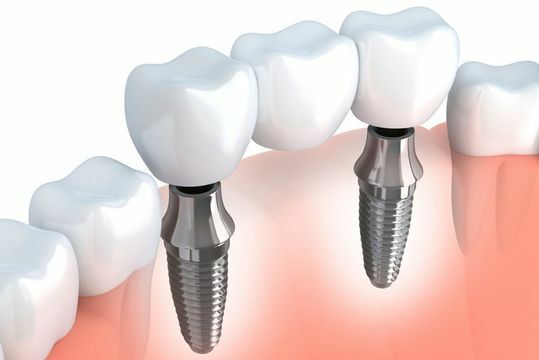 Dental implants are small metal posts that can replace the roots of missing teeth. Once implants have been surgically placed in the jaw, they can support a crown, bridge, or full denture. Dr. Cheryl Cushman uses advanced technology, such as the Kodak Cone Beam 3D System by Carestream, to plan precise implant placement. 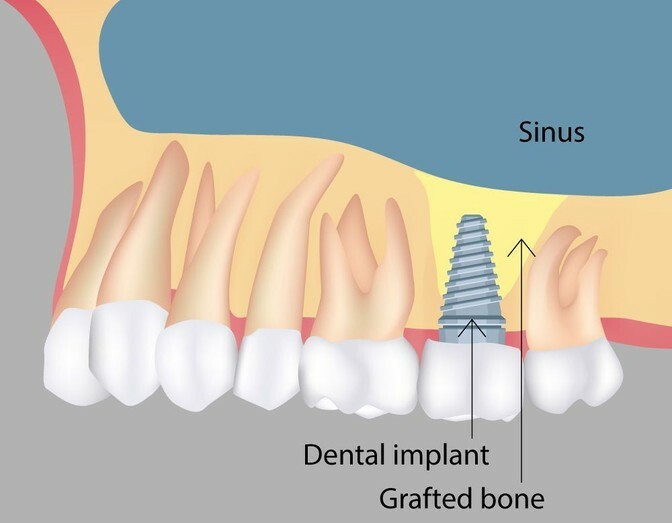 If you have suffered bone recession as a result of tooth loss or advanced gum disease, you may not have enough tissue to support dental implants. During a bone graft, Dr. Cushman will restore the recessed areas of your jaw with a sample of bone tissue. In this way, she can rebuild a strong base for implants. In addition to ridge augmentation, she also offers sinus lifts. If you have one or more teeth that are beyond repair, Dr. Cushman will perform a gentle extraction which involves minimal discomfort. With her experience in periodontics, she also offers surgical removal, including the extraction of impacted teeth. In some cases, Dr. Cushman can also prepare the extraction site for implants during the same procedure. By placing a bone graft, she can preserve the tooth socket and prevent jaw recession. Scaling and root planing, also known as a deep cleaning, is the most common treatment for early to moderate gum disease. 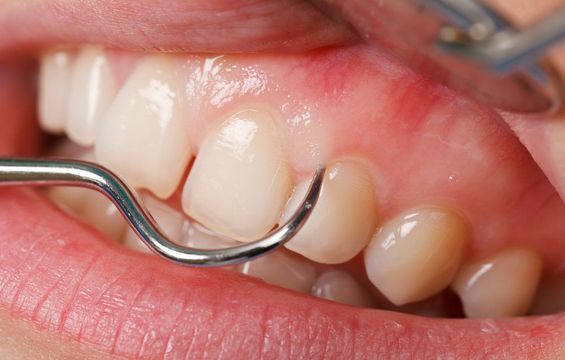 During the procedure, Dr. Cushman will clean out pockets of bacteria from your gums. She will also eliminate rough patches from your tooth roots, since the extra surface area can harbor additional microbes. With her precise techniques, you should feel little more than a slight pressure during treatment. Gum recession is a common symptom of periodontal disease. As your gums pull away from your tooth roots, it can affect your appearance and cause significant dental sensitivity. During soft tissue grafting, Dr. Cushman will use a sample of your own tissue or a synthetic material. She will place the tissues over the receded areas of your gums, where it can integrate with your gum line during the healing process. If you have a damaged tooth that has broken off near your gum line, or your tooth is badly decayed, you may benefit from crown lengthening. By removing a thin layer of gum tissue, Dr. Cushman can make room to secure your new restoration. She works conservatively and gently, and she will remove as little tissue as possible. Cosmetic gum contouring is similar to crown lengthening, and is performed by removing very small amounts of soft tissue. However, this treatment is designed to improve the appearance of your smile. If you have a disproportionate amount of gum tissue, or if you have an uneven gum line, contouring may benefit you. In some cases, Dr. Cushman may also place a small tissue graft to straighten your gum line. Dr. Cushman uses very conservative techniques, and she will numb your gums and jawbone before any procedure. Nevertheless, we offer additional sedation for extensive procedures. You may also benefit from sedation if you are feeling anxious about your treatment. Dr. Cushman offers laughing gas and oral sedation, and we will help you select the most appropriate method for your needs. If you have advanced gum disease, and more conservative treatments have not been effective, you may require osseous surgery. During this treatment, Dr. Cushman will eradicate pockets of bacteria. Then she will smooth and shape the portions of your jawbone surrounding your dental roots. In some cases, she may combine this treatment with a bone graft. Patients who lack sufficient bone mass to support a dental implant in the back of the upper jaw may require a sinus lift. During the procedure, Dr. Cushman will carefully lift and reposition the sinus membrane. She will then pack the area with bone grafting material to create a strong foundation.